Tara Darnley and her husband co-founded Darlyng & Co., an award-winning eco-friendly lifestyle baby brand. She hit the ground running and spent 3 months coming up with the idea for the Yummy Mitt and made it to production all while learning how to deal with a newborn. Now, she’s using her platform, Dreams Inspire Reality to help bring other new entrepreneurs up to pursue their dreams. 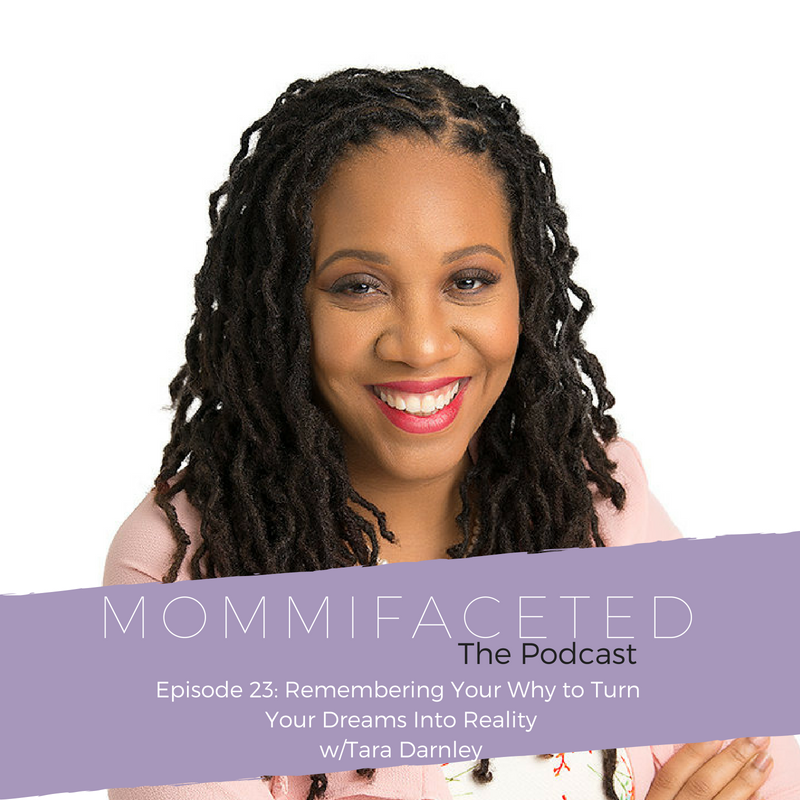 We talked about marriage and working with your spouse, how important planning is – family wise and business wise, and how she managed being a new mom and being new to business at the same time. She’s a big believer in figuring things out – whether it’s motherhood, balancing a heavy travel schedule with a busy family schedule, or filing her own trademark. Everything she does, she reflects against her why – why she works long nights, why she works so diligently, why she does everything she does. Her why, is the reason that she is able to live a life that she dreamt of. Tara Darnley is a wife, mom, inventor, entrepreneur and new Podcaster from Brooklyn, NY. Together Tara and her husband Co-Founded Darlyng & Co., an award-winning Eco-Friendly lifestyle baby brand. National attention has come their way via features on the Steve Harvey Talk Show, Marie Claire, Black Enterprise, What to Expect & Newborn and Pregnancy Magazine to name a few. Their brand is Sold and distributed worldwide. The idea for their first product, a teething mitten was inspired when their then 2-month-old began teething early. Dreams Inspire Reality is an extension of her company, she believes in helping others succeed. Whatever success may look like to them. She recently launched a podcast that would highlight everyday creatives and entrepreneurs living their best lives possible. Sharing practical and strategic tips, where she “picks their brain” for her audience. Her hope is that each guest will leave something practical for her listeners to take away to start living their Dream life.